The Conservation Agriculture and Sustainable Farming Practices project, initiated by Syngenta, is using field-scale trials to compare conventional plough establishment, versus min-till and direct-drill based conservation agriculture techniques. It is operating across different farm locations and soil types, and through a full five-year crop rotation. Syngenta sustainability manager Belinda Bailey says agricultural policy, the economics of crop production and the availability of new technology have focused growers on establishment techniques that, potentially, can better balance farm productivity with environmental protection. She says: “This project, on two contrasting UK sites: with heavy soils at The Allerton Project research farm, Leicestershire, and lighter sandy-loam land of a Kent farm; Andy Barr, near Margate, will give an independent evaluation that demonstrates how different systems perform in practice, including potential pitfalls, as well as benefits. 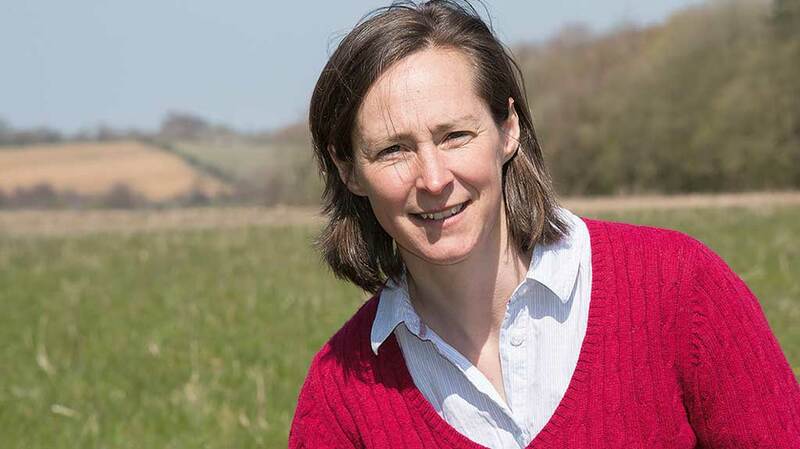 Crucially, Mrs Bailey says the study will assess the complexity of different systems to evaluate how practical they would be to implement on-farm, as well as the riskiness that will dictate how ready growers would be to adopt the new ideas. WHAT WILL THE PROJECT LOOK AT? Soil structure will be a key measure of the sustainable ag initiative, Phil Jarvis tells growers. 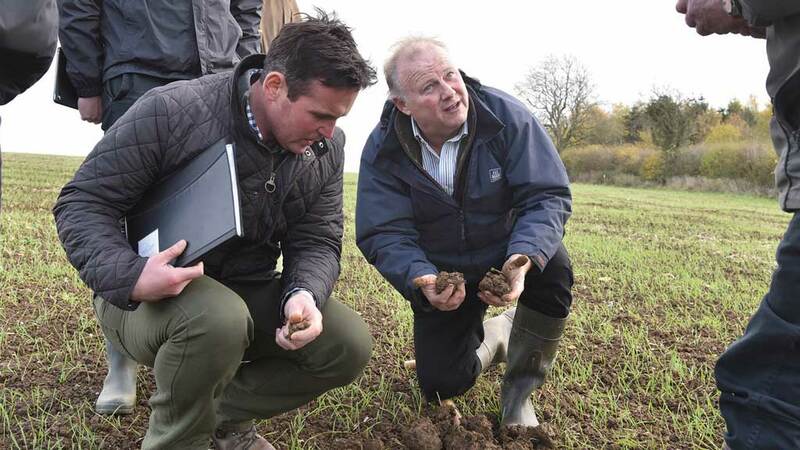 Phil Jarvis, head of farming at The Allerton Project, says: “What is particularly exciting about the project is that we can put facts and figures into a study on farming systems, which in the past have sometimes relied on anecdotes. He says while it is satisfying to see improvements to worms, farmland birds and soil structure, it is essential to build a sustainable financial business into the future. At the Game and Wildlife Conservation Trust Allerton Project, Leicestershire, the initiative is comparing each of the establishment systems across a rotation of winter wheat; Hyvido barley; winter OSR; winter wheat and spring beans. The min-till and conservation ag systems also include catch and cover crops in the rotation. One threat identified is that the farm’s high black-grass burden may prove a challenge, especially on the conservation ag establishment system. Running for the whole five-year cropping rotation, the project will give a comprehensive assessment of the systems with year one results giving interesting insights already. It has already been recorded that the conventional system required five passes for seedbed preparation, compared to four or three with the reduced tillage options. That gave up to 65% time saving and cut fuel costs by up to £31/hectare. However, while reduced cultivations were faster and cheaper, in what was a very challenging season, their overall lower yields across the rotation and marginally higher input costs, primarily for green cover seed, resulted in lower margins with both the min-till (-11%) and conservation ag establishment (-7%). A survey of growers and agronomists at Cereals 2018 showed 62% correctly predicted the project’s results that yields would be highest under a plough-based establishment system, with 26% believing direct drill would give the highest yields and 12% for min-till. However, only 2% of participants thought the plough system would give the highest overall margin across the rotation, which turned out to be the case. Nearly 60% voted for min-till to give the best net margin, but in the first year, that turned out to be lowest. More than 40% thought the direct drill would give the best return and, while establishment costs were lower, the overall margin was still 7% down on the plough system. The vast majority (83%) also considered that the conservation ag direct drill system would be best for earthworms. While it did show useful increases over the conventional plough establishment, it was, as predicted by 13% of respondents, the min-till system that saw by far the greatest increase in worm numbers. The Syngenta Conservation Agriculture and Sustainable Farming Practices project is part of a pan-European collaborative study, with comparable initiatives in France and Spain. Designed to run for up to five years, it will provide an independent insight into the long-term implication and viability of different farming systems.